The French Institute, in conjunction with other top music outlets around Yangon, are organizing a week of jazz and improvised music. French jazz band Splanx have flown in from France and will team up with local jazz acts for a performance in the garden of the French Institute on Friday at 8 p.m. (entry 5,000 kyats). The live music will be followed by an electro swing DJ set. 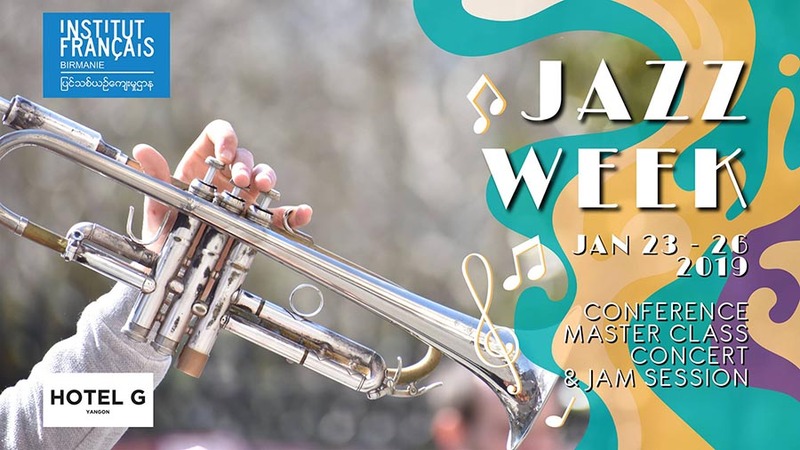 On Saturday at 11 a.m. there will be a masterclass on music improvisation at Gitameit Music Institute followed by a jam session at Atlas Rooftop Bar at 8 p.m. with both French and Myanmar musicians. 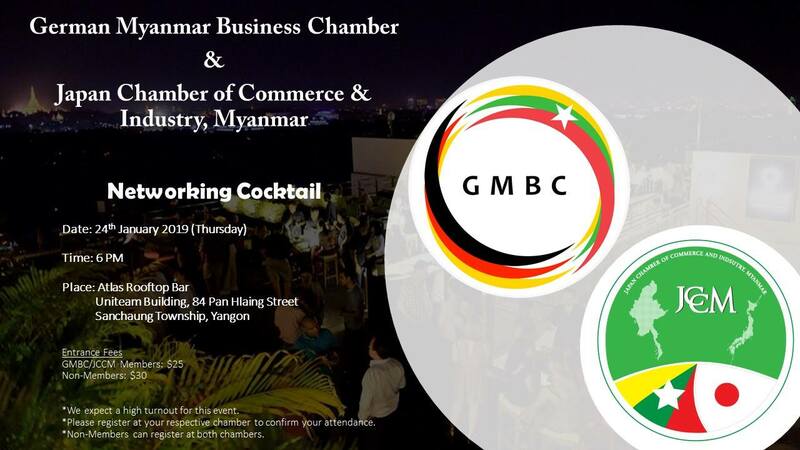 A chance to network with like-minded business and commerce experts, this event is organized by the German Myanmar Business Chamber and the Japan Chamber of Commerce & Industry, Myanmar. Jan. 24 | 6 p.m. | Atlas Rooftop Bar & Lounge | Uniteam Building, 84 Pan Hlaing Street, Sanchaung Township | Tickets $25 for GMBC/JCCM members and $30 for non-members. 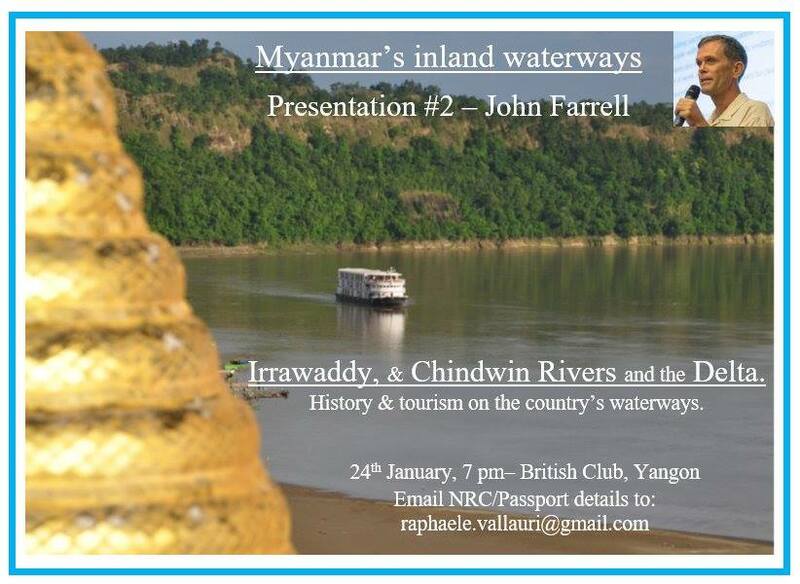 John Farrell, a Myanmar tourism expert who has previously given talks in Yangon on the Mergui Archipelago, will this time have an evening to present the topic of Myanmar’s rivers and the tourism potential in connection with rivers and waterways. Attendees to events at the British Embassy Club are required to show I.D. at the entrance. 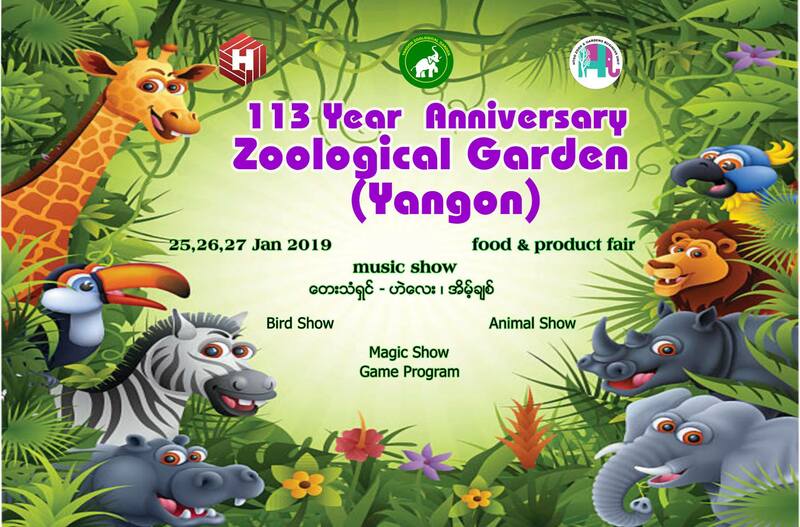 Yangon Zoological Gardens is this year hosting a three-day festival in celebration of its 113th year. This event is not to be missed by families with young children who love animals. Extra entertainment will be organized at the zoo, including a magic show, games and animal and bird shows. There will be music performances and a food and product fair to interest the young and old alike. 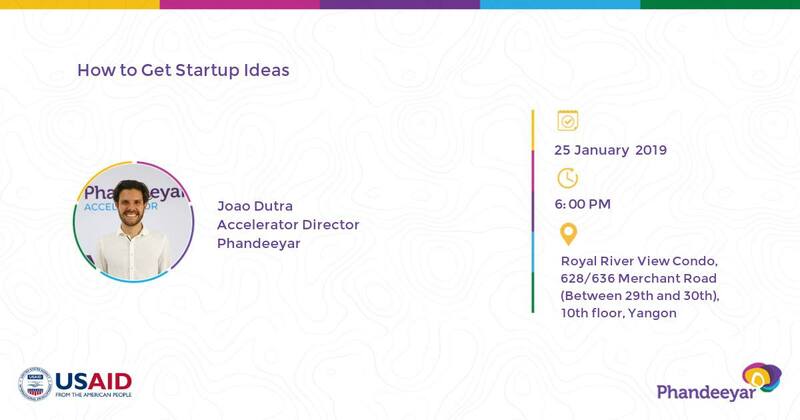 Phandeeyar will host yet another interesting and informative talk for those interested in the world of tech entrepreneurship, business and startups. Joao Dutra will be the speaker and the event is set to be an interactive and engaging way to learn about techniques for generating ideas for tech businesses—a key skill in the startup world. 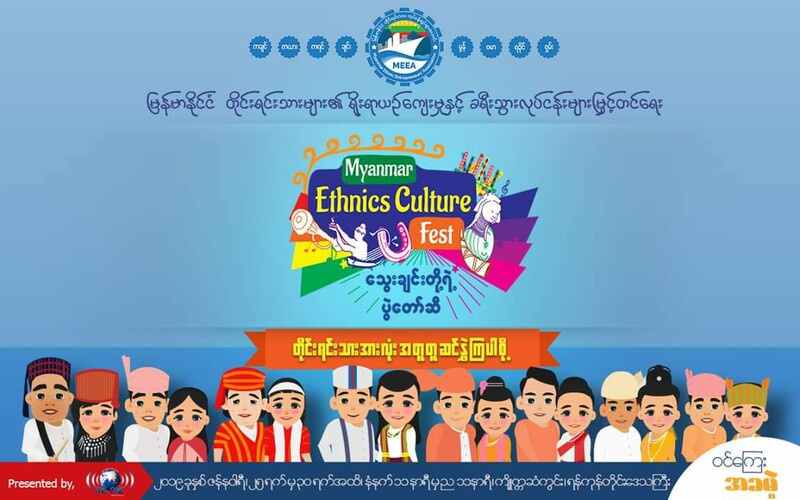 The traditions and cultures of many of Myanmar’s ethnic groups can be seen at this six-day festival. Go there to enjoy a diverse range of food and drinks and see traditional dance performances and fascinating and intricate costumes from across the country. Entry is free of charge. Step back in time to the golden age of 90’s music and feel the unstoppable urge to sing and dance with friends just like in the old days. 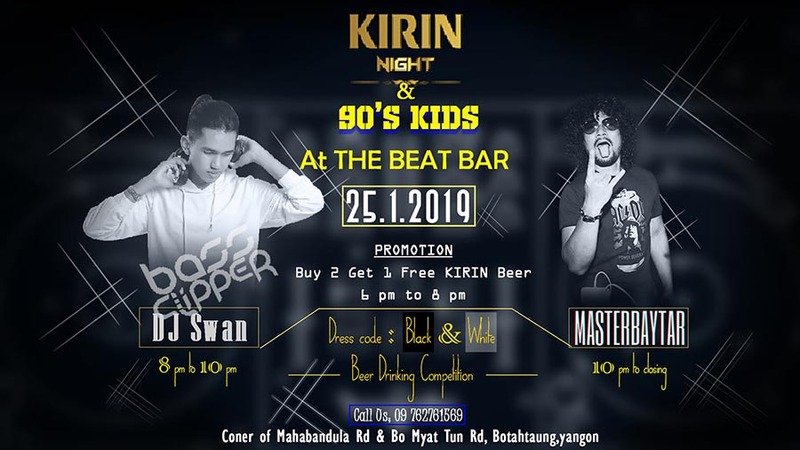 One of Yangon’s favorite DJs, Master Bay Tar, will pump out the 90’s beats and the beer drinking competition is sure to be entertaining. Kirin promotions will be available before 8 p.m. and the dress code “black and white” applies. This event gets bigger and better every year and this year, it even features a boat parade which departs from Botahtaung Jetty on Saturday at 1:30 p.m. On Friday evening and Saturday and Sunday afternoon and evening, Thakin Mya Park will be the venue for an exciting lineup of games, music, films, a drag show, hero awards and an interactive disco as well as the legendary drag Olympics. 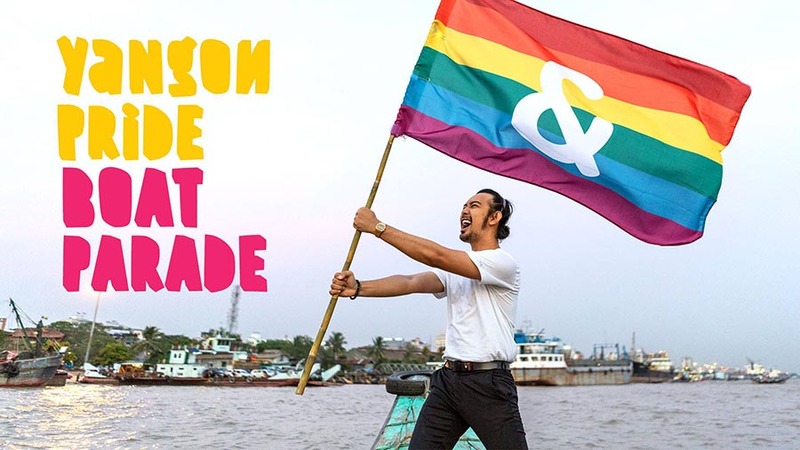 For the full schedule, see the Yangon Pride event page on Facebook. 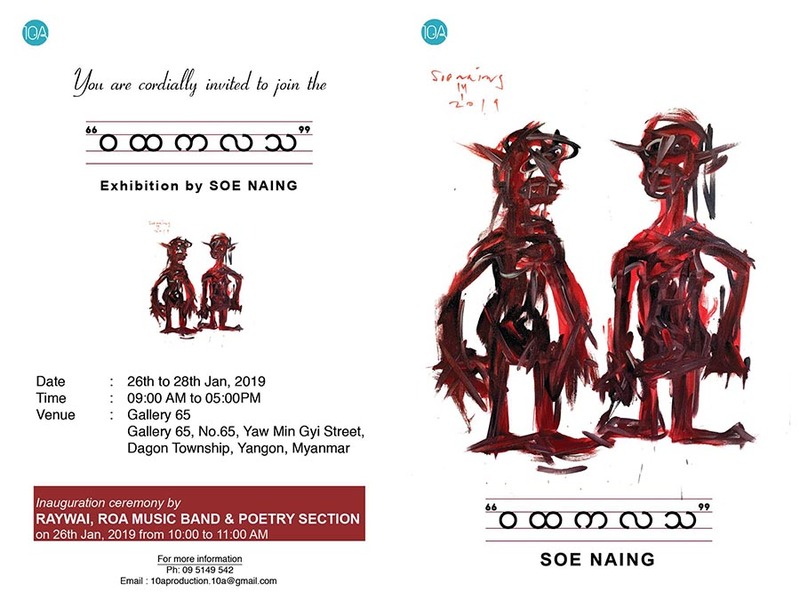 Contemporary Myanmar artist Soe Naing will show a collection of his work created between 1994 and today. The exhibition opening will feature poetry readings and live musical performances by Raywai & ROA. The artist’s book of the same name will also be launched at the opening with signed copies available. 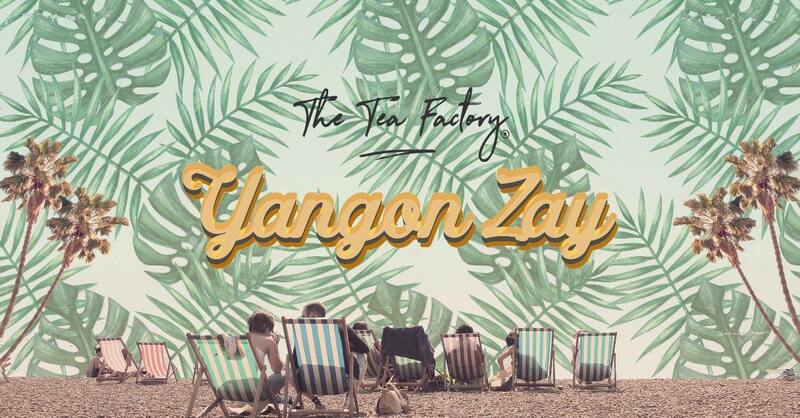 Yangon Zay ups its game this weekend with the first ever edition of Chef Fest featuring top local and international food talent. Myanmore Chef of the Year 2018 Chef Orng of Orng’s Kitchen, Myanmar’s Master Chef Sharky, British-Thai chef John Chantarasak of AngloThai and other reputable chefs from near and far will offer a number of diverse and delectable dishes alongside the usual Yangon Zay fare and entertainment. Some of the biggest names in Myanmar’s music industry will perform on one stage this weekend. 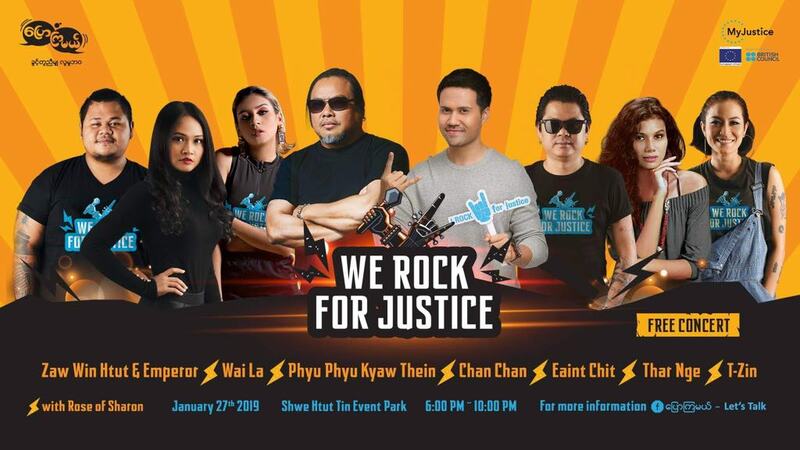 Zaw Win Htut with Emperor, Wai La, Phyu Phyu Kyaw Thein, Chan Chan, Eaint Chit, Thar Nge and T-Zin will perform at this free concert organized by Let’s Talk in conjunction with My Justice which is funded by the European Union and the British Council. The event aims to raise awareness of the importance of justice, fairness and equality for all.